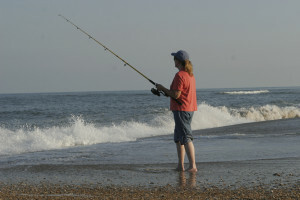 As the weather cools down on Hatteras Island, the fishing definitely heats up. 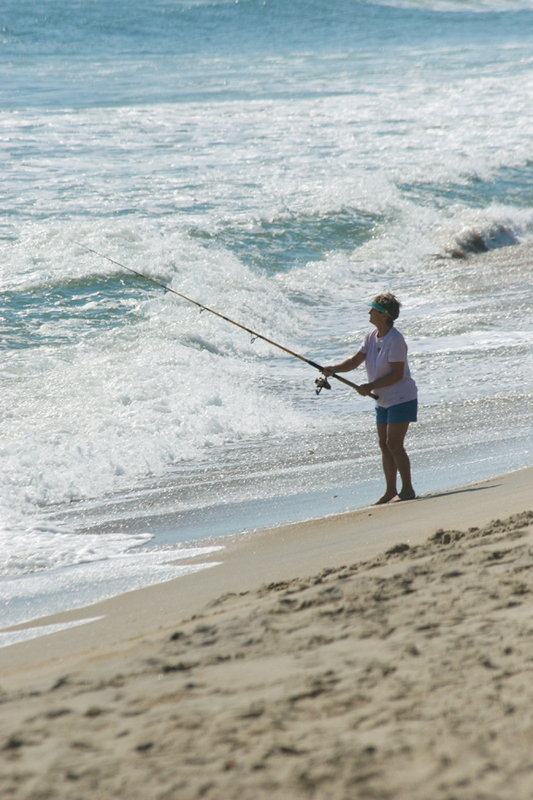 Fall is known as one of the best seasons on the Outer Banks to land the big one as migrating species of fish maneuver their way along the Gulf Stream in search of new feeding spots. 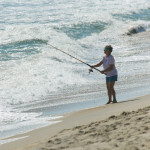 It’s the time when Sea Bass and Striped Bass, King Mackerel and Spanish Mackerel, Yellowfin Tuna and Dolphin, can all be found hovering off the North Carolina coast. 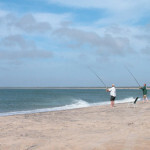 For most avid anglers, fall is particularly known as the season of the red drum run, and some of the largest red drum in the country have been caught right off the Hatteras Island coast. 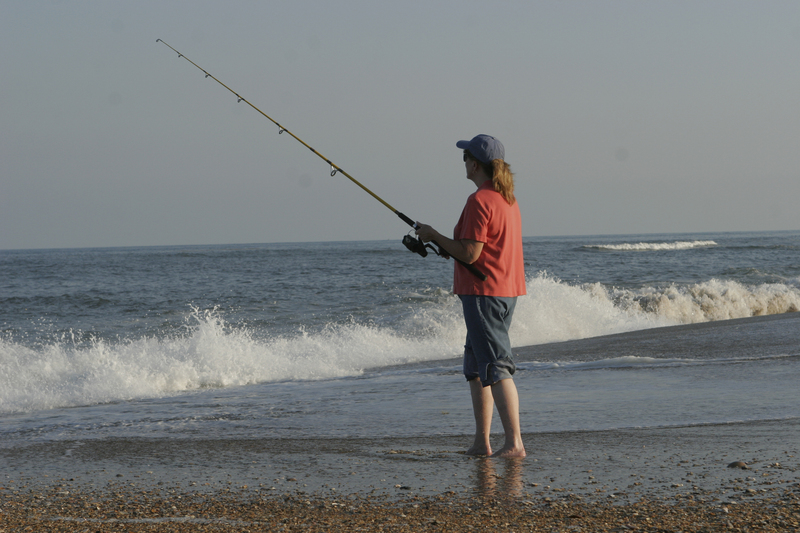 On October 23 – 25, Frank and Fran’s Fisherman’s Friend tackle shop in Avon will host the 9th annual Red Drum Tournament. 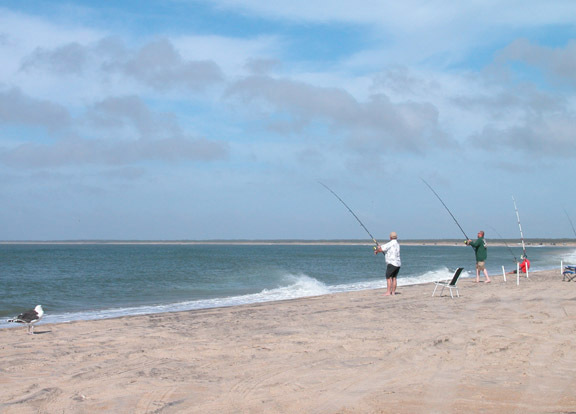 This is a three day invitational tournament with 300 anglers competing to catch and release the largest and most red drum as they make their annual migrating run past Hatteras Island on The Outer Banks of North Carolina. The tournament begins with appetizers and a meet and greet with the judges, and will culminate with the annual banquet and distribution of prizes. Hatteras village on The Outer Banks of North Carolina will host the fourth annual Day at the Docks celebration on Saturday, Sept. 20. Festivities will begin on the working waterfront, i.e., the marinas located at the southern end of Hatteras Village, at 10 a.m. and run until 5 p.m.